Love this gorgeous Sarah Louise girls ivory special occasion dress, embroidered delicately and finished with pearly beads, sequins and a ribbon around the waist. 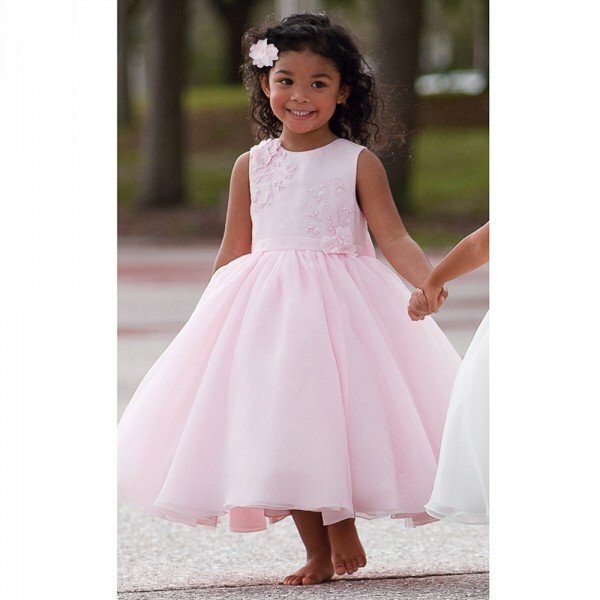 The dress has smooth organza on the sleeves and skirt with tulle underneath for added volume with a zip fastening at the back. Perfect for any special occasion. 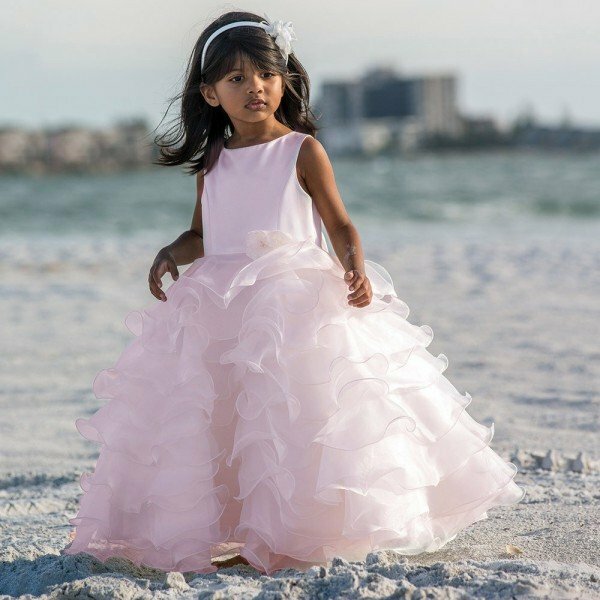 Makes the most luxurious flower girl dress. Ships Worldwide.